The following are brief expectations for the BoE September policy statement as compiled from the related research reports of 10 major banks. Overall, the consensus expects the BoE to remain on hold with an unchanged 7-2 vote. On the GBP front, the consensus seems to lean towards expecting the GBP to find some support around the BoE with the balance of risks suggesting that some expected positives look already priced in. BofAML Research: We still expect a 7-2 vote for unchanged rates. With inflation likely to slow after peaking in October, the BoE would have time to watch the data. We still expect weak growth to prevent hikes until 2019 at least. As a result, a less dovish MPC (our economists' central call) is likely to provide some support for GBP. However, we reiterate our current call for a weaker GBP heading into a series of political events that we think will test the market's belief that a transition agreement will be announced sooner rather than later. Nordea Research: This week’s Bank of England meeting is of secondary importance to politics unless something major happens, which is unlikely. Setting politics aside, we like the Sterling in to year-end, especially versus the EUR, but the outlook is still extremely clouded by political uncertainty. Barclays Research: We expect the BoE to offer some support for GBP with hawkish rhetoric on Thursday, but expects limited repricing in short-end rates. 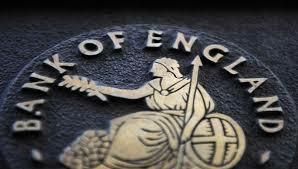 We expect the Bank of England to keep its policy settings unchanged this week while seeking to support the currency with more hawkish rhetoric. ...The continued softening in the economy, however, puts a cap on the ability of the BoE to induce a repricing of expectations in the front end of the yield curve, in our view. Morgan Stanley Research: Our economists expect the BoE vote to remain unchanged this week, with a 7-2 split in favour of keeping rates on hold. Credit Agricole CIB Research: We believe there is little scope of changing central bank rate expectations. After all the BoE seems to continue to link its policy stance to Brexit-related uncertainty. All of the above means that the GBP is likely to continue trading within this year’s trading range for longer. Nevertheless short-term upside risks persist, especially as speculative oriented investors continue to run a short position. ING Research: While BoE officials may state that they are not targeting a specific exchange rate level, we suspect the trade-weighted GBP index around the 74 level is in a territory that will warrant greater attention from policymakers. This may provide a backstop to any meaningful GBP-selling theme in markets," With the dollar also plagued by US and global politics, we look for GBP/$ to remain anchored around the 1.30 level in the near-term. BTMU Research: We expect the BoE to reiterate this week that the market is underestimating the scale of rate hikes likely in the coming years although they will likely stop short of signalling a rate hike is imminent this year. Another 7-2 vote to remain on hold is expected, although there is a risk of more votes in favour of a hike...Overall, the developments should encourage the pound to rebound further. SEB Research: With one of the hawks now replaced the support for rate hikes in the MPC has decreased. With growth at 0.3% q/q in Q2 we doubt that further members will changed their minds. Clearly inflation will stay above the BOE target. However, the upward pressure on consumer prices is mostly the effect of the substantial depreciation of the GBP since late 2015. This is not enough to trigger a policy response at this point. Policy will be left unchanged at this meeting. Deutsche Bank Research: DB economists continues to expect the BoE to remain on hold until uncertainty about the Brexit transition diminishes, as too many aspects of the policy trade-oﬀ hinge on the outcome.